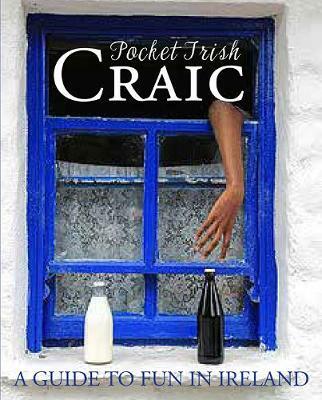 Craic, or crack is a Gaelic word, with no exact English translation. The closest you get is fun. The expression ceoil agus craic, means music and fun, but the word is also used as a term for gossip, entertainment, enjoyable conversation and having a good time. It is often used with the definite article - the craic. Enter the word in Google and over 4.5 million entries come up, so there's a lot of craic out there! This book celebrates the best if it, from celebrations to sightseeing, with everything from bog snorkelling to matchmaking the Irish way!